Why is it important for every Nation to regulate cryptocurrencies? The cryptocurrency is a digital decentralized form of currency which is an open source. Due to its decentralized and open source nature, the control of the people over the cryptocurrency is distributed among the various people. 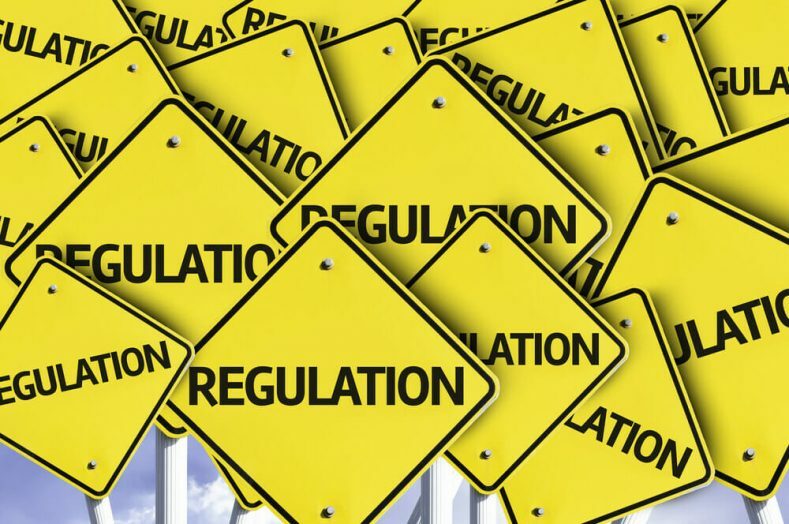 Regulation of cryptocurrencies does not mean the complete banning or total control over it, but guiding the complex system so that it doesn’t end up with a bottleneck. Various reasons can be quoted why cryptocurrencies should be regulated, some of them are explained below. For every transaction made with cryptocurrency, a public ledger is maintained where all the entries of transactions are made since this ledger is maintained by the public the person maintaining might be short of enough/latest computer requirements to bear the high inflow of traffic during high amounts of the transaction of cryptocurrencies around the world. Therefore the hardware might crash and we might lose the crucial data. Hence there should be a reliable authority having enough power and revenue to maintain a good high-end system for the data traffic inflow and outflow so that the data is secure. 2. To collect Taxes from people. Cryptocurrency in this world is considered as a bubble and it is speculated frequently that the bubble might burst at any time. We pay taxes as little amounts of our income to the government to improve the standard of living. On the other hand, cryptocurrency which is a huge economic value, transactions are made for little or no taxes. This might curb the way to hide the black money and some people invest in the cryptocurrencies so as to evade from payment of taxes. 3. To overcome people’s untrustworthiness notion about cryptocurrencies. Most of the people in the world do not enter the cryptocurrency world because it is unregulated and hence people don’t trust it. Once the cryptocurrencies become regulated people will use the cryptocurrency without any fear because they will have the knowledge that the government is backing it. Hence masses of people will opt this type of economy. This will also secure the Crypto world with frauds and scams. 4. To include the digital currency in a common market. As we see the rising trend in the Crypto world, it is foreseen that it is an inseparable part of the economy. Since its value is regularly being compared with that of Fiat currencies. There is a sense of separateness between the digital currency and Fiat currency so to remove this barrier or ambiguity between them, cryptocurrencies of the digital currencies can be merged into the financial world by regulating it. It is also noteworthy that the levels of fluctuation in the cryptocurrency economy are very high i.e it is evident that the cryptocurrency which had a very low value, gain a lot of value within no time. Hence people don’t feel that it is safe, they feel it is untrustworthy. Also as this is a new concept to the world the governments don’t have a proper methodology to regulate this particular Technology.